For many people, the words “lip balm” bring to mind a decades-old image: the classic white tube with a pop of color wrapped around it. But over the last few years, lip balm has evolved. It’s now trendy, with eye-catching shapes and colors. Lip balm has become a practical item with pizazz. 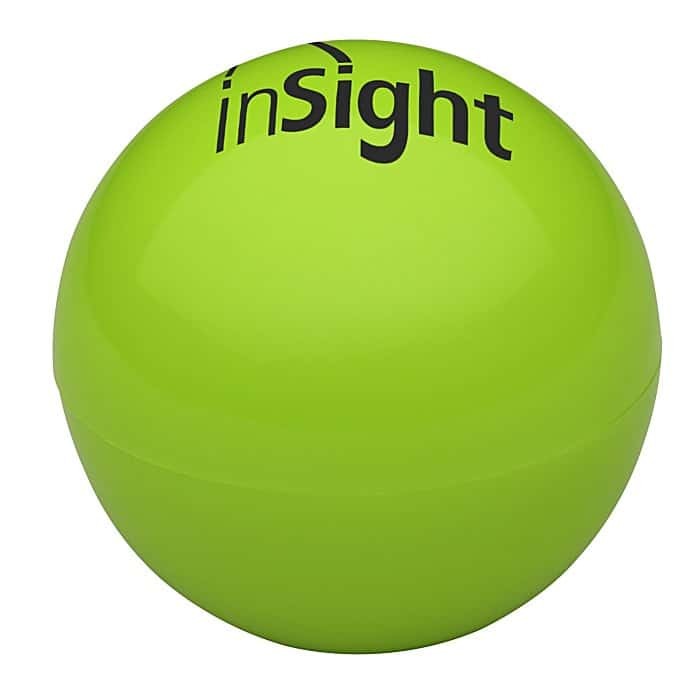 Lip balm giveaways are the perfect promotional item—sure to be appreciated no matter the reason or season. This practical item’s usefulness, paired with the latest designs, make for a perfect thank-you gift or trade show giveaway. 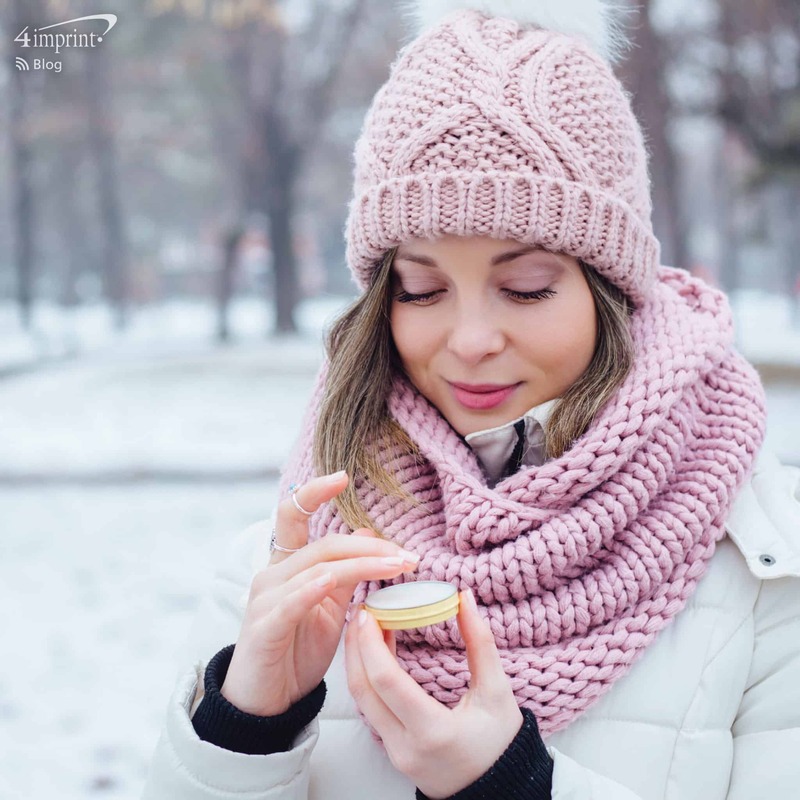 The eos brand is a relative newcomer to the lip balm game, but its popularity has soared so much it’s already the second best-selling lip balm in the country. 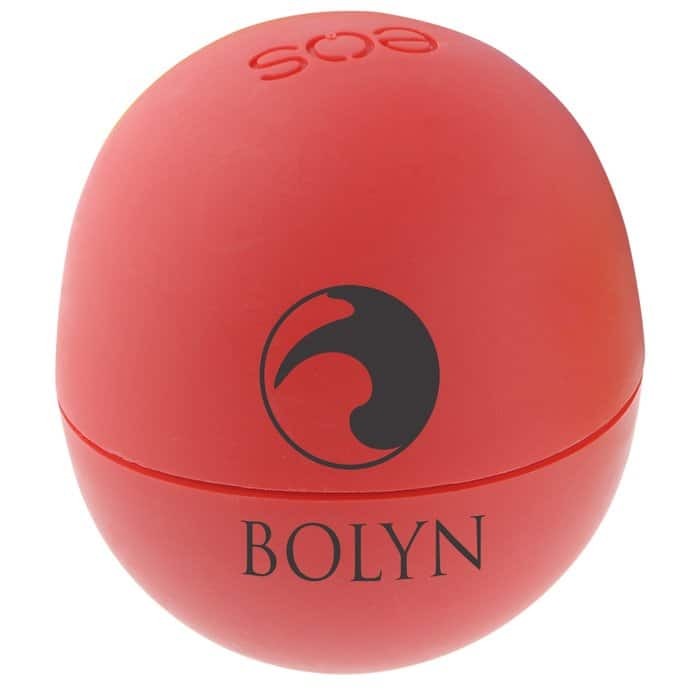 That’s what makes eos lip balm giveaways a trendy item clients and employees will love. 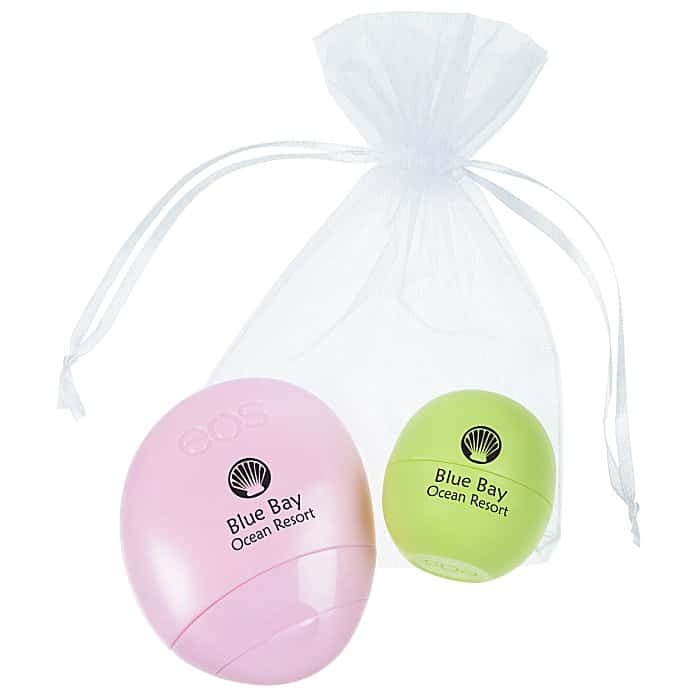 eos Lip Balm combines a stylish appearance with multiple colors and flavors to appeal to just about anyone. Pick a style and shade based on your company colors or simply pick a fun flavor that complements your message. For example, hand out a passion fruit-flavored lip balm along with other health items and note that you’re passionate about wellness at your company. You can also offer the eos Lotion & Lip Balm Gift Sets. 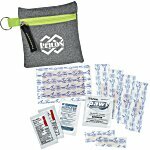 Customers, vendors and donors will appreciate this premium set. Trade shows and events are ideal places to hand out lip balm. It’s small, practical, slips easily into a pocket, purse or bag, and will likely get used daily. These lip moisturizer balls are sure to draw attention. 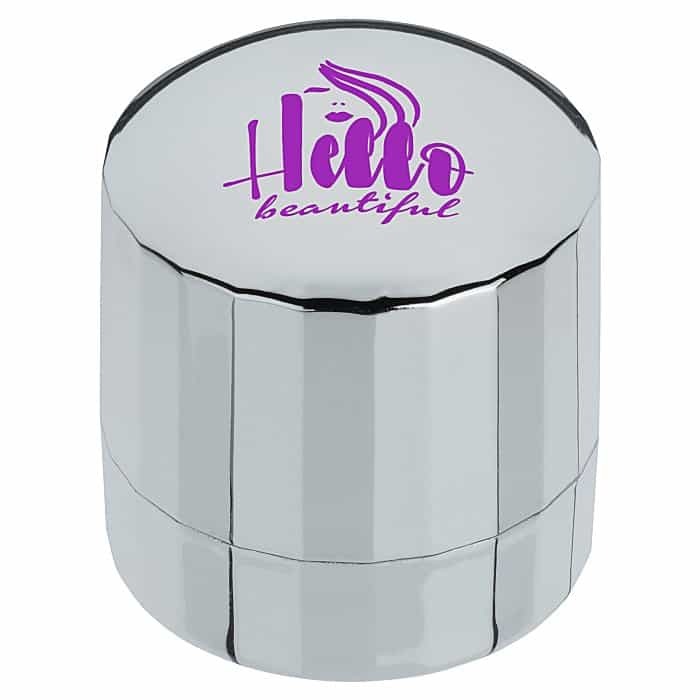 The Lip Moisturizer Ball comes in several colors that can be used to make your logo pop or for an eye-catching display. 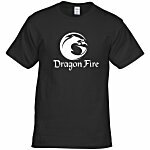 Want to offer a different look? 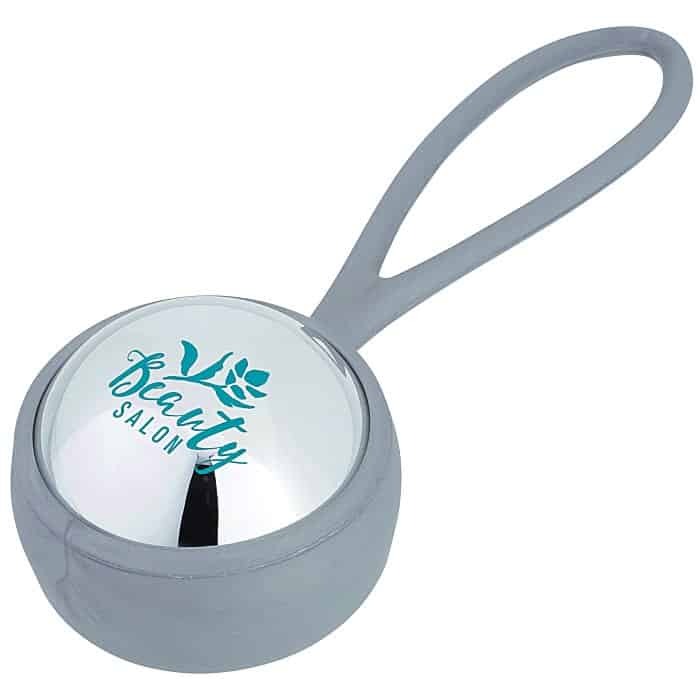 The Lip Moisturizer Ball – Metallic – Leash attaches easily to a bag or purse, allowing easy access to lip balm that won’t get misplaced at the bottom of a bag. The Metallic Lip Moisturizer Dome features the same moisturizing protection with a unique “twist” in its look. Or you could forgo the round shape all together with Cube Lip Moisturizer. Its unique shape makes it just like your brand—easier to hold onto. Lip balm combines the practical with the trendy. These lip balm giveaways have the looks, colors and flavors that people will reach for daily. Rebecca is one of 4imprint’s Category Managers, and she has been with 4imprint for 14 years. Rebecca writes about wellness & safety products, toys & novelties, and outdoor promotional products that will help spread your message at a variety of events. 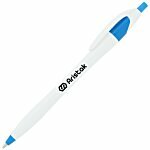 Everyone likes free items, plus your logo is always in front of their face!